Feb. 13, 2017, 10:55 a.m. The Ann is working with 17 groups — from student newspapers to the local public library — to share local news and information. By Joseph Lichterman @ylichterman Feb. 13, 2017, 10:55 a.m. In 2009, The Ann Arbor News shut down, leaving Ann Arbor, Michigan, without a (non-college-produced) daily newspaper. 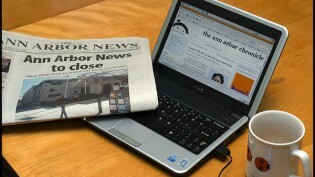 The paper, owned by Advance Publications, was replaced with AnnArbor.com — a website and twice-weekly print paper. 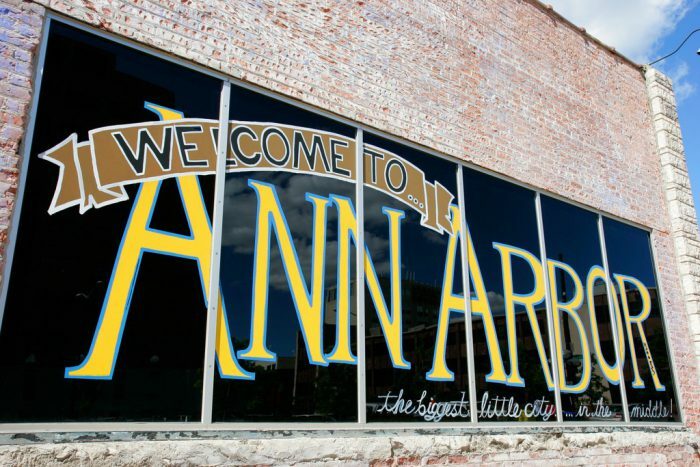 The site and paper have gone through several iterations since then, and the staff and resources focused specifically on Ann Arbor have decreased. To try to fill the void, The Ann — a six-year-old monthly magazine with a circulation of 18,000 that’s distributed in weekend editions of The Wall Street Journal and The New York Times — last month launched a daily email newsletter, ANNthology, that compiles stories from 17 other local sources of news and information, including a public radio station, student newspapers, community bloggers, and the public library. The partnership among the organizations is informal, and money isn’t involved. “There’s no way for us to do daily news content. We’re a tiny monthly news magazine, and that’s what we’re budgeted for — monthly. This is a way for us to do daily content that we didn’t have to pay for,” said Jim McBee, The Ann’s creative director, who is overseeing the newsletter and chooses the stories to include each morning. ANNthology has 5,315 subscribers and an open rate of about 25 percent, McBee said. It covers all of Washtenaw County, which includes Ann Arbor. The county has a population of 358,880, according to the U.S. Census Bureau, and is home to the University of Michigan and Eastern Michigan University. The first issue of the newsletter, published January 23, featured public radio station WEMU’s coverage of the local Women’s March, along with a dispatch from The Michigan Daily, the University of Michigan’s student newspaper, about an Ann Arbor group that traveled by bus to Washington for the march there. The issue also included an opinion piece on the marches from political blogger Chris Savage, who runs the liberal site Eclectablog. More recent issues have featured standard local news fare: coverage of city council and school board meetings, downtown business developments, and various arts events. The Ann is selling ads in the newsletter and plans to use that revenue primarily to cover the costs of producing it. “Hopefully we can recoup some of my time doing it,” McBee said. WEMU program director Patrick Campion said he’d ultimately like to see more collaboration among the participating outlets. WEMU’s staff is already overextended — “We’ve got four people doing 20 people’s jobs,” Campion said — and increased content sharing and joint efforts could allow the station to expand its coverage. “Our eventual goal is a collaborative effort of many different news organizations, approaching the topics of importance and the way they cover the news differently, but sharing ideas and the sparks that could become larger stories down the road,” Campion said. McBee will continue to produce the newsletter for now, but he’d eventually like to have regular meetings and produce more coordinated coverage among the organizations that are informally participating now. He also said he could envision similar products to The Ann or ANNthology succeeding elsewhere. Photo by Ninian Reid used under a Creative Commons license. POSTED Feb. 13, 2017, 10:55 a.m.
Lichterman, Joseph. "An Ann Arbor magazine created a daily newsletter to help fill gaps in the city’s local news coverage." Nieman Journalism Lab. Nieman Foundation for Journalism at Harvard, 13 Feb. 2017. Web. 25 Apr. 2019. Lichterman, Joseph. "An Ann Arbor magazine created a daily newsletter to help fill gaps in the city’s local news coverage." Nieman Journalism Lab. Last modified February 13, 2017. Accessed April 25, 2019. https://www.niemanlab.org/2017/02/an-ann-arbor-magazine-created-a-daily-newsletter-to-help-fill-gaps-in-the-citys-local-news-coverage/.